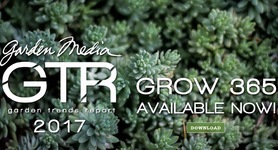 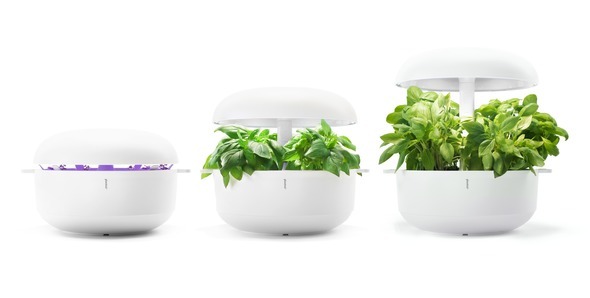 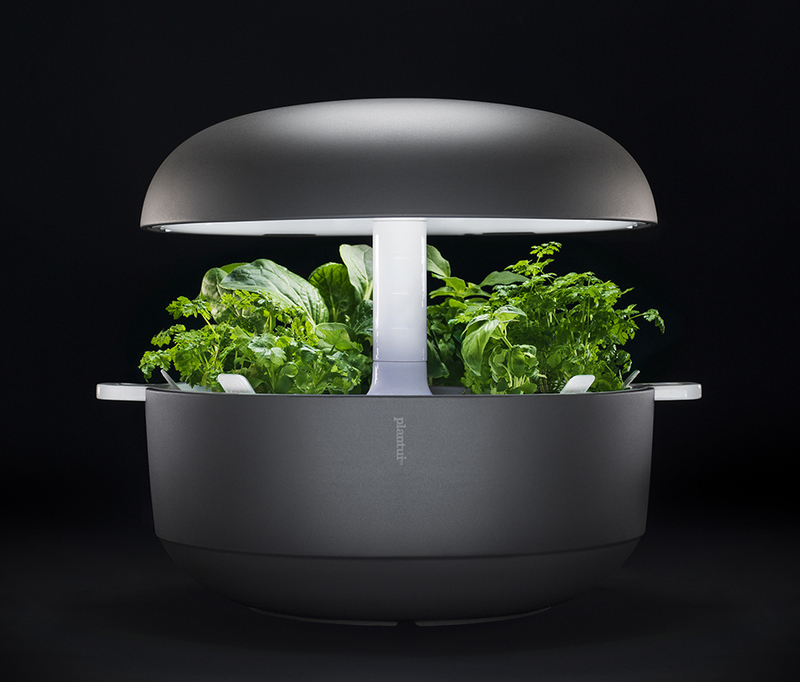 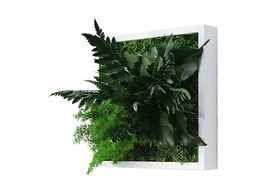 Plantui Smart Garden is a gardening device to grow greens inside the house all year round. 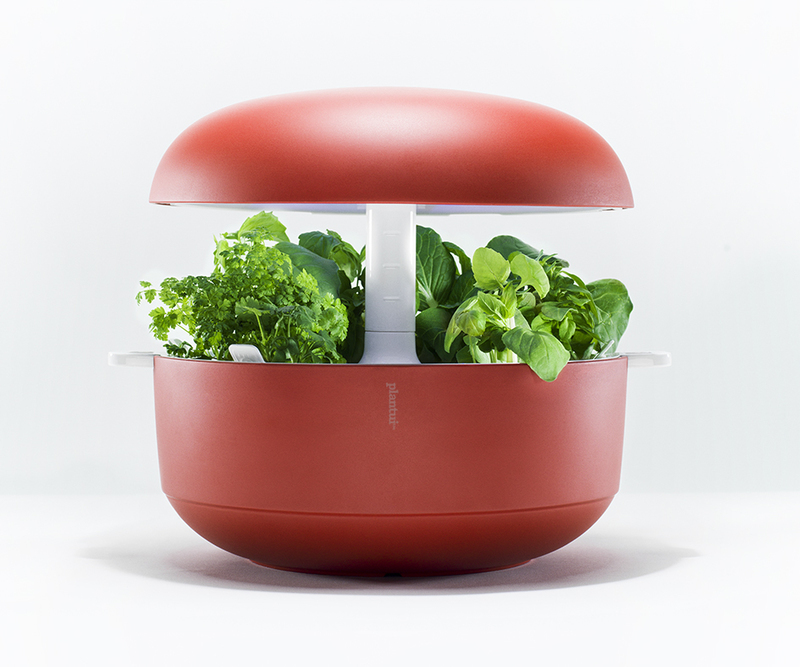 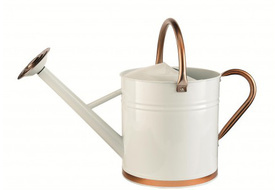 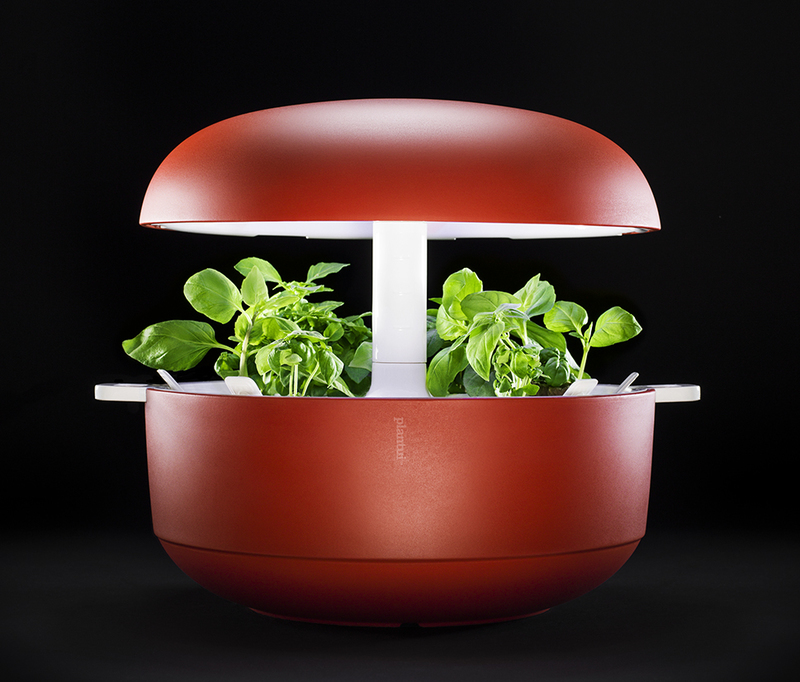 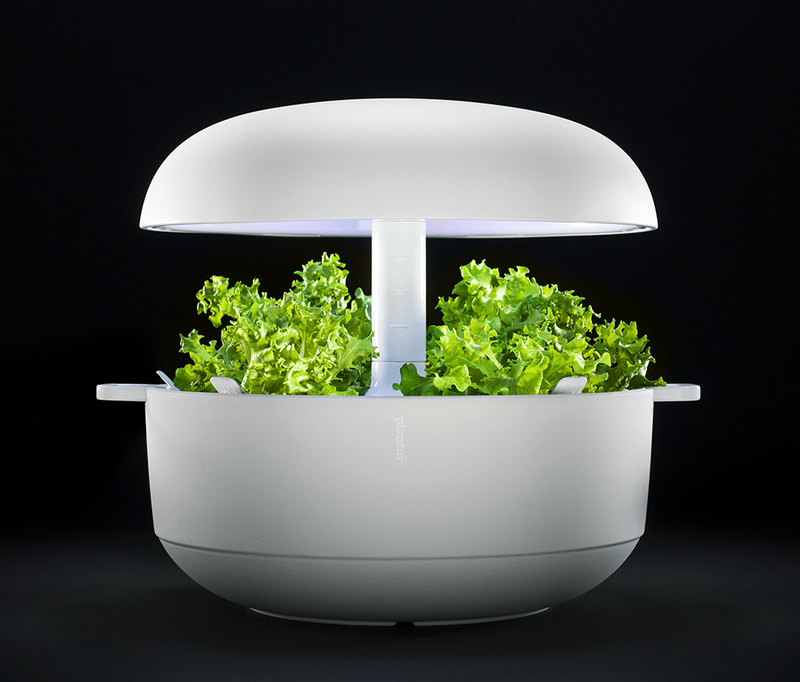 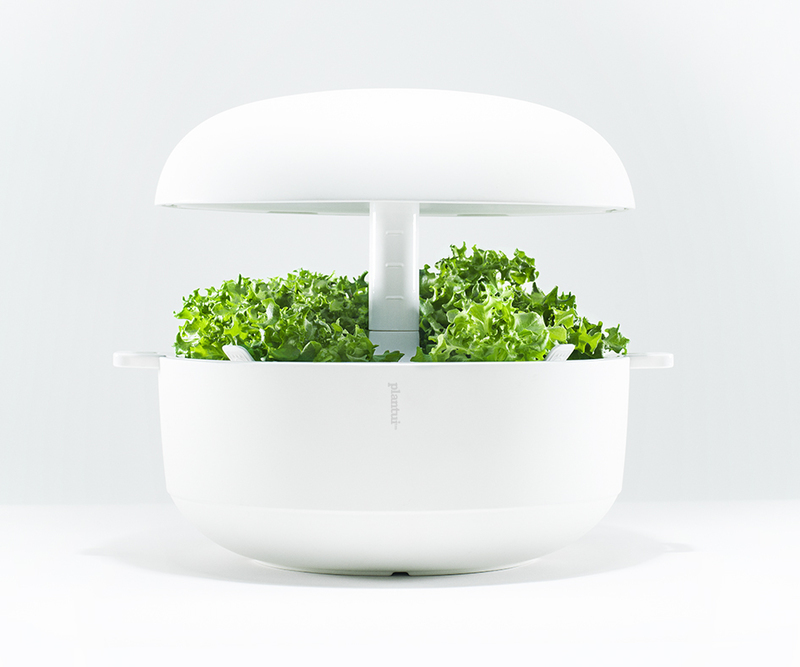 The innovative planter does not need any soil and can be used to grow herbs as well as salad greens. 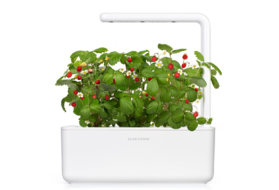 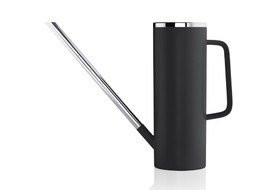 Featuring an intelligent LED light system and an automatic watering pump, the device takes care of the plants nearly completely by itself. 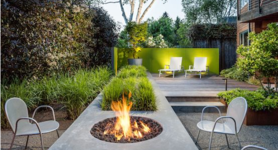 Plantui Smart Garden offers space for six plants and its low-voltage 12 V battery consumes less than 60 kWh per year.